Dell laptops also delivering a high-quality viewing experience, a head-turning end and an array of alternatives designed to elevate your enjoyment wherever you go..Windows Hello and the optional fingerprint reader on the power button makes secure logins as simple as possible, even for multiple users.Watch movies, play games or listen to your favorite music with the standard DVD drive, or burn your own discs for file backups. Disclaimer : Dell Inspiron 15 5570 Core i7 8th Generation Laptop 8GB DDR4 2TB HDD price in Pakistan is updated on daily basis and rate/price for Dell Inspiron 15 5570 Core i7 8th Generation Laptop 8GB DDR4 2TB HDD is valid for all cities of Pakistan included Islamabad, Rawalpindi, Lahore, Karachi, Faisalabad, Peshawar, Sialkot, Quetta etc. 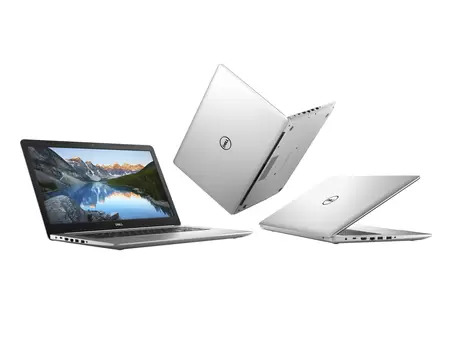 Dell Inspiron 15 5570 Core i7 8th Generation Laptop 8GB DDR4 2TB HDD price depends on many factors thats include the price of dollors, manufacturar price and import cost and duties etc. Our team entered specs from diffrent resources and not responsible for any typo error in specs for Dell Inspiron 15 5570 Core i7 8th Generation Laptop 8GB DDR4 2TB HDD, please report any such error in bug report panel for Dell Inspiron 15 5570 Core i7 8th Generation Laptop 8GB DDR4 2TB HDD. Dell Inspiron 15 5570 Core i7 8th Generation Laptop 8GB DDR4 2TB HDD price in Pakistan.